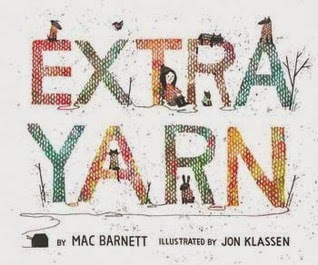 Finally, here are my top ten picture books from this past year. Some of the books are older, but I was working at a middle school until October, so I wasn't around very many picture books. 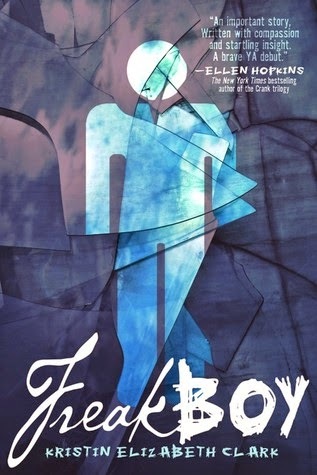 I chose more diverse genres with these books (two fantasy, three realistic, one poetry, and four mysteries), but only three of the books featured a nonwhite protagonist, one had a protagonist with a disability, and none of the books featured LGBTQ characters. By my count, this list includes six realistic fiction, two science fiction, one fantasy, and one historical fiction. 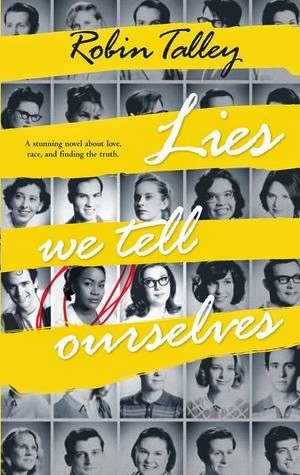 Also, at least six of the books feature nonwhite protagonists and eight of the books feature LGBTQ characters. Not too shabby. Magoon, Kekla. How It Went Down.Henry Holt & Co. BYR, 2014. Tariq Johnson is shot outside a store in his neighborhood. He's shot by a white man who flees the scene. The aftermath of this story is told from multiple perspectives - Tariq's mother, his sister, the girl who tried using CPR to rescue him, a minister who fancies himself a voice of the people, the store owner, the owner of another nearby store, etc. This obviously is a very timely work that is a good representation of current events. I don't feel qualified to speak on the topic of race or discrimination, so I will leave that subject for other reviewers and instead focus on the narrative itself. It was interesting to read a story from so many viewpoints. 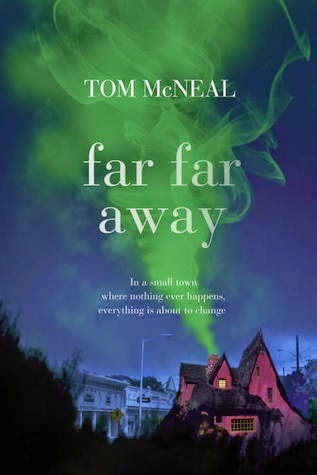 I have enjoyed books with multiple narrators before, but this one had so many narrators it became difficult to distinguish between all the voices. That being said, I think having that many viewpoints on an important event like this made sense for the story itself; I just wish I had gotten to know the various characters a bit better. I am also glad that Tariq's little sister, who has a disability, was given her own voice. She wasn't there to highlight her disability; she was just there as a kid whose brother had been shot. Martin, Ann. Rain Reign. Feiwel & Friends, 2014. Rose is a child with high-functioning autism. She is trying sixth grade for the second time, in hopes that she will learn the necessary social skills to succeed in middle school. Rose's father does not want help raising his daughter and has insisted that she be treated like non-disabled students, so she is not receiving as many services as she otherwise would. 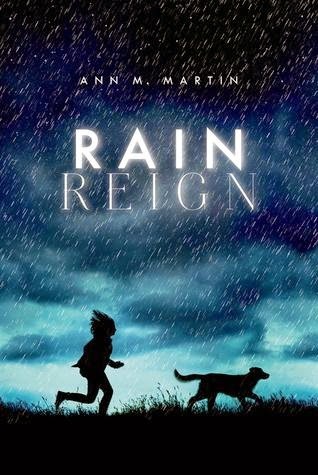 When a big hurricane blows through town and Rose's dog, Rain, gets lost, how will she cope with the changes in her life? This book is so wonderful, I'd give it more than five stars if it were possible to do so. Rose is a wonderful young lady who is learning how to cope with her limitations, and it's beautiful to watch her make friends throughout the story. Even her obsession with prime numbers and her "conversation starters" made me smile. Rose's dad doesn't know how to help her, and he seems very angry and a bit too proud to accept help himself, so I felt bad for Rose from the outset of the story. But all is not lost. 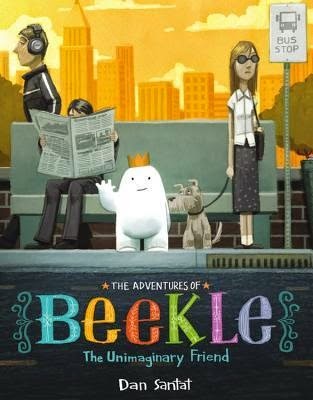 Rose has helpers in her life - her uncle helps take care of her, and Rose does make friends at school. 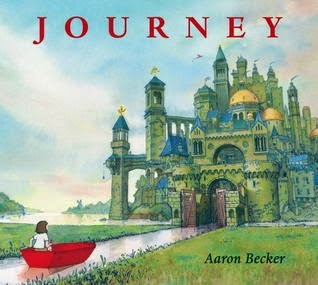 The story doesn't have a Disney-esque ending, but it is a satisfying ending. Strongly recommended. Carter, Caela. My Best Friend, Maybe. Bloomsbury USA Childrens, 2014. Colette and Sadie used to be best friends, but right before high school Sadie quit hanging out with Colette. Colette busied herself with being the Perfect Daughter - getting good grades, dating a nice boy from her church, pleasing her parents. 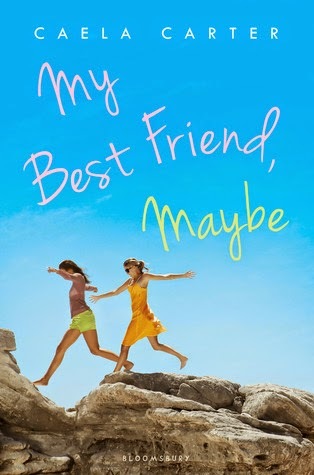 Out of the blue, Sadie asks Colette to join her family for a trip to Greece. Colette decides to go, but spends much of the trip confused. Why does Sadie want to be with her all of a sudden after abandoning her so long ago? 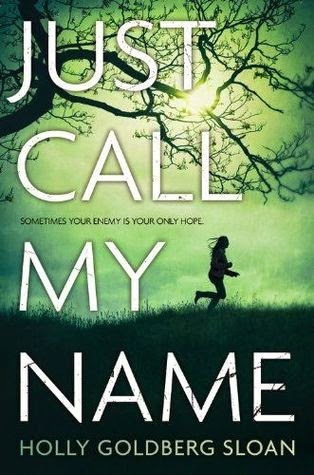 Finally, a YA novel with a religious family that's portrayed realistically. Colette is constantly prodded by her mother not to be prideful, not to be selfish, etc. Her mom sends Colette numerous passive-aggressive emails while she's in Greece, each containing a Bible verse the significance of which is initially lost on Colette. Colette and her boyfriend both "fake perfect" in front of each other to please each other and each finds out that the other is just a perfectly flawed human being. The characters were believable and real, right down to Colette's mom's conversation with Sadie. Colette and Sadie do get their Disney-esque ending, but that doesn't make the story less satisfying. 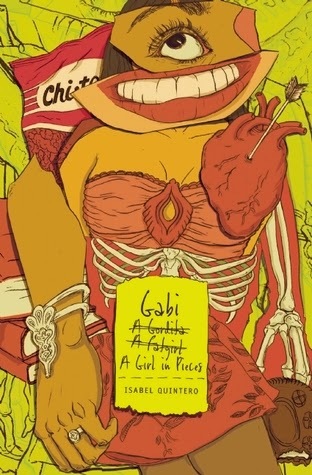 Even though I am not personally a fan of chick lit, I did enjoy this particular story. Homeroom 10B all received their flu vaccinations on the same day. The next day many of them also began hearing other people's thoughts. This story is their collective voice, telling what they chose to do with their new powers. Imagine that the planet Betazoid was completely inhabited by cheerleaders or other stereotypically popular but flaky females. Apparently with great power comes great ... boyfriend potential. 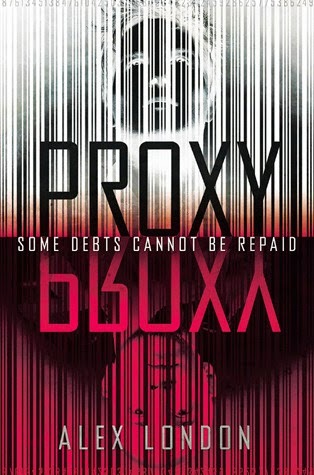 The potential behind this - a chick lit book with an actual plot - was amazing, but it just didn't live up to it at all. King, A.S. 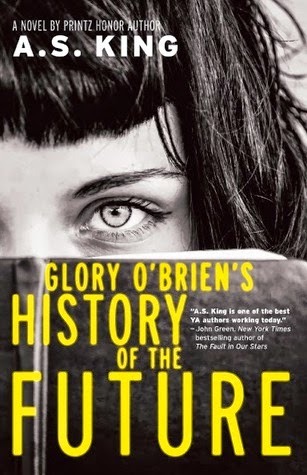 Glory O'Brien's History of the Future. Little, Brown BFYR, 2014. Glory and her best friend decide to drink desiccated bat dust mixed with beer. The next day they begin having visions. Every time Glory looks at a person, she sees both that person's past, including their ancestors, and the future of that person's progeny. Glory is understandably overwhelmed by these visions; meanwhile she's trying to decide what to do with herself after graduation and attempting to convince her father to come out of the decade-long cloud of grief he's been living in and to start working and living for real. This book was bound to be weird. I understood the plot behind the weird relationship between Glory's family and the "commune" that was living on their property, but I got stuck on the bat: why in the world would anyone think it was safe or smart to drink dead bat dust? Ew. I don't understand why the girls didn't get horribly sick and end up hospitalized. 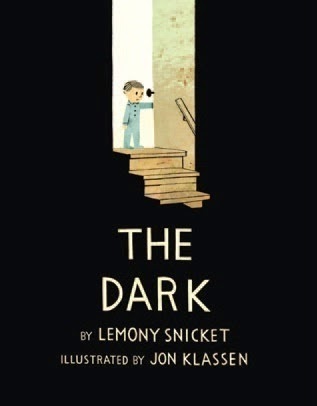 All that aside, this book would be an easy one to recommend, and kids who like very strange books would probably love this one. I didn't make this exact one, but I made one just like it with different paper. My family's Christmas tree is covered in ornaments, but most of them are not the stereotypical round glass ball type. Most of our ornaments are handmade, simply because my wife and I both enjoy crafts and Christmas ornaments are fun and easy to make. We have ornaments made out of beads on pipe cleaners. We have ornaments made out of sequins pinned to Styrofoam shapes. We have crocheted ornaments, plastic canvas ornaments, ornaments that were made by melting plastic into metal frames to make "stained glass." We also have origami ornaments. When we began planning our December crafts at my library I knew I'd want to do some origami. It's deceptively simple to do, most people enjoy it and also already have experience with it, and it could easily be molded to fit any tradition. The ornaments I made at our "Ornament-igami" program have been placed on our Christmas tree, but they could just as easily be used for any holiday. To prepare for this program I decided on two different ornaments I would demonstrate. Both of them are fairly simple and would be easy for me to show someone else or to pull up a YouTube video of someone making them. The square papers used for origami could be used for any number of shapes, though, so I wouldn't limit my patrons' creativity if they wanted to make a different shape. All I needed, aside from directions for my two types of origami, was a lot of origami paper. 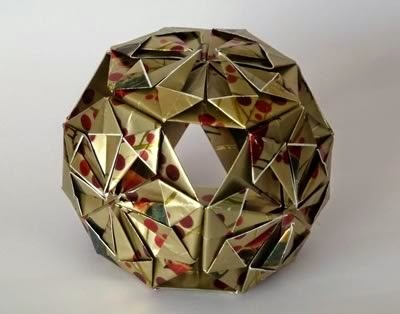 I wanted shiny paper, patterned paper, and two-sided paper, in addition to the basic solid-colored origami paper most often used. I set these papers out, and once people started arriving, I gave directions to those who wanted to learn how to make the two shapes I had made and circulated among the others to make sure everyone had what they needed. After that, the program pretty much ran itself. I liked this program because it was flexible - patrons could make whatever they wanted - and because it required very little in the way of language skills. A person who spoke another language could easily demonstrate how to fold a shape, and the directions I had pre-printed involved mostly pictures. This made this program ideal for just about any age, which is a good thing since our "tween" crafts usually draw people from age 8 up to age 80. Ashley is not popular. Not by a long shot. Her classmates tease her relentlessly while she hangs on the fringes of the in-crowd, hoping to fit in. Her mom is no better, telling her she'd have more friends if she tried harder or spent more time on her appearance. Ashley does spend a lot of time looking in the mirror, though, because when she looks in a mirror, she sees her future self, and that future self is giving her advice and trying to help her survive. But there are some things that even Future Ashley can't stop. This book is weird. Seriously weird. In alternating chapters we hear the story of an incident that landed Ashley in a mental institution and also the story of Ashley as she's speaking with her therapist and hoping for release from said institution. Any more description would involve spoilers, so I'll have to leave it there. 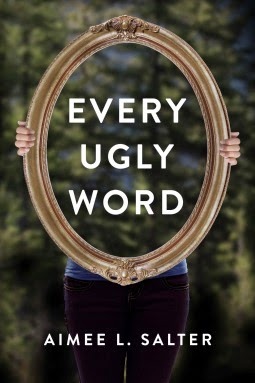 I didn't really like this story or feel any sympathy for Ashley, but the theme of mental illness is so important for young adult collections that I would definitely add this to my library's collection regardless of my personal feelings about the book. Sanderson, Brandon. 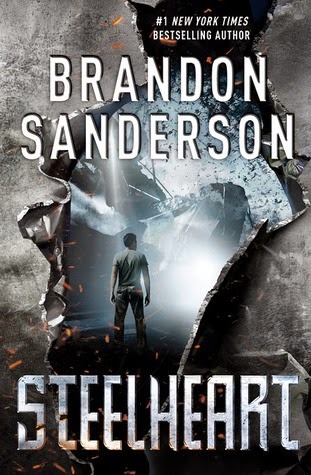 Steelheart. 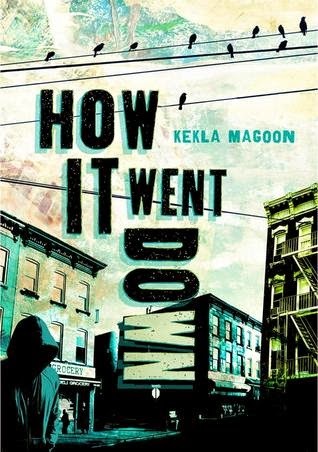 Delacorte Press, 2013. Imagine a world filled with superheroes, evil superheroes. When a bright light appeared in the sky and gave select people superpowers, David was just a child. He watched as an Epic took out customers at a bank, then was taken out by a greater Epic, one who also killed David's father. Since then David has been obsessed with the Epics and more than anything he wants to avenge his father's death. He wants to kill Steelheart. To do that, David must find the Reckoners and convince them to take out a major Epic. I listened to the audio version of this book in my car and it was wonderful. It made my long commute that much easier to bear, and I often wanted to speed up the CD somehow so I could find out what would happen next. 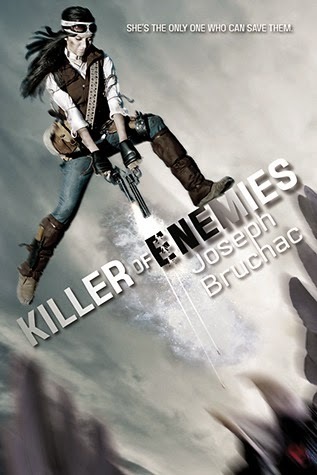 This book would be easy to recommend to teens who enjoy action flicks. Recommended. Sanderson, Brandon. 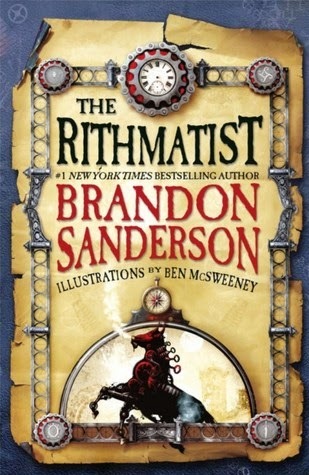 The Rithmatist. Tor Teen, 2013. Joel wants to be a Rithmatist more than anything else, but his father's death meant that his Inception happened off-schedule and he was not chosen. Still, he knows more about the four types of Rithmatic lines than any other non-Rithmatist. When the Rithmatic students at Joel's school begin to disappear, it's up to him to solve the mystery, before it's too late. I enjoyed this fantastical tale of a world where North America is comprised of sixty islands, the Asian empire has taken over Europe (stir-fried spaghetti, anyone? ), and chalk drawings come to life and are used as weapons of war. The mystery kept me reading, along with the instructional drawings about the different types of lines and defenses which prefaced each chapter. 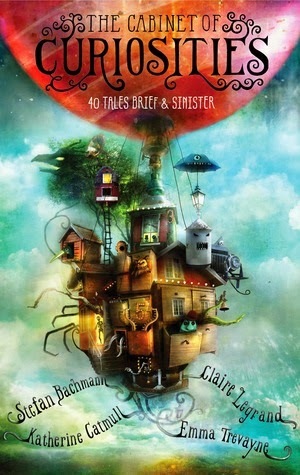 Fans of fantasy and steampunk will really enjoy this book. Alexander, Kwame. The Crossover. Harcourt Brace & Company, 2014. Josh and Jordan are twins who love basketball. 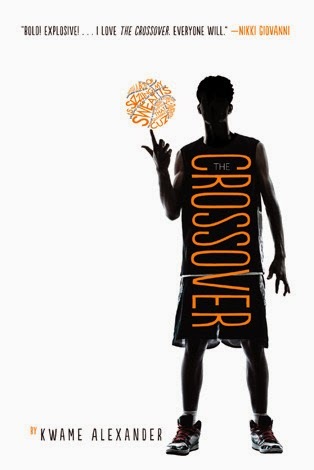 The Crossover is Josh's story, talking about basketball and living up to expectations and loss. Told in blank-verse, this book covers a lot of ground - a basketball story, a story with diverse characters, and a story written in poetry. 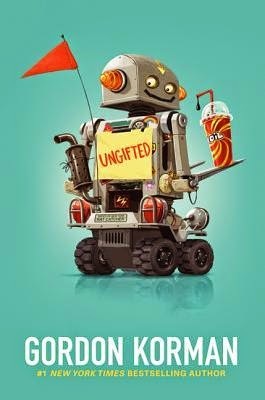 This book would be an easy one to recommend to teens and tweens. One of the nice things about passive programming, from a staff standpoint, is that it is exactly what it's called: passive. There's no instruction, very little supervision, and it can be set up at the beginning of the week and then taken down whenever it has outlived its usefulness. Our passive program this week involves holiday Mad Libs. I remember thoroughly enjoying these word puzzles both as a student and also when I was a teacher. 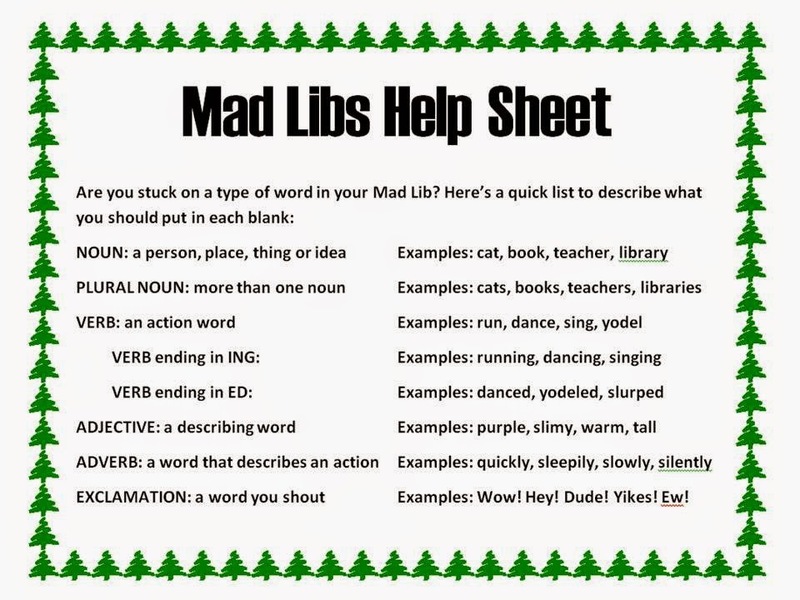 I also remember from teaching that it's silly to reinvent the wheel, so I checked online and found numerous examples of free printable Mad Libs that may not have been created by the people at Looney Labs, but are still enjoyable and simple. For our passive program, I made copies of six different puzzles, putting each on a different color of paper, and also set out instructions that offer a "refresher course" for those who may have forgotten the difference between an adjective and an adverb. The sign is set on a table along with the stacks of puzzles and some of the ubiquitous golf pencils that float around my library and settle into desk drawers. I enjoy these types of programs because I am helping encourage a lifelong love of reading and learning in my patrons, and because this is an educational activity that also happens to be fun. We can't circulate books of Mad Libs since they are meant to be written on, but this way I can share the concept with my patrons and they can discover that this is another way to have fun with words. What kinds of passive programs do you do at your library? Which are your favorites? Which are patron favorites? Spears, Kat. Sway. St. Martin's Griffin, 2014. Jesse Alderman can get you anything you want: a date to the prom, a term paper guaranteed to wow your teachers, protection from bullies, drugs, you name it. But whatever he gets you always comes with a price. Jesse spends his days making transactions and business deals with football players, nerds, and even the school's principal. But what happens when one of his customers asks to be set up with a girl that Jesse likes? My synopsis made it sound like this story had a plot, which it actually didn't. It isn't until the end of the book that Jesse even realizes that he likes the girl, so most of the book is spent watching Jesse conduct various business transactions. He wasn't a very likable character, since pretty much everything he did came from ulterior motives, and there wasn't much to keep the story going at all. It was kind of like watching a reality TV show where there isn't a problem to be solved or anything but rather is a "day in the life" kind of scene. I kept reading because I wanted the story to get interesting, but I was greatly disappointed. Grabenstein, Chris. 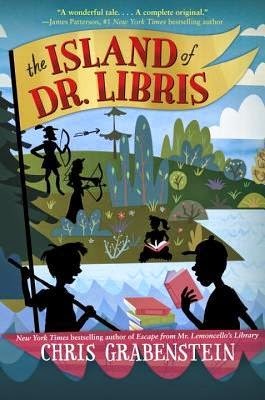 The Island of Dr. Libris. Random House BFYR, 2015. Billy is spending his summer at a cabin with his mom. The cabin has no internet, no TV, no xBox, and what's worse, Billy dropped his new iPhone and broke it. Now he must resort to the only source of entertainment this mysterious cabin offers: a library full of books. But when Billy starts reading, the books become much more real than they were ever intended to. 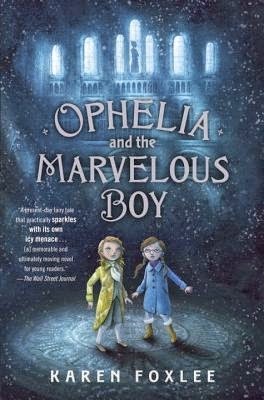 When Billy discovers that Robin Hood, the three musketeers, Jack and his giant, Pollyanna, and a host of other characters are battling for supremacy of a small island nearby, he'll have to use all the powers of his imagination to save the day. 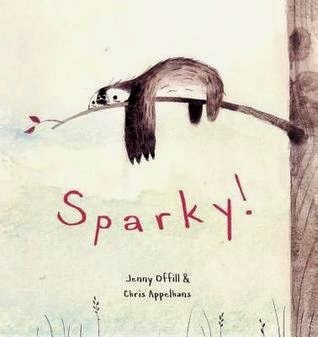 This book is so fun and adorable I just want to hug it. 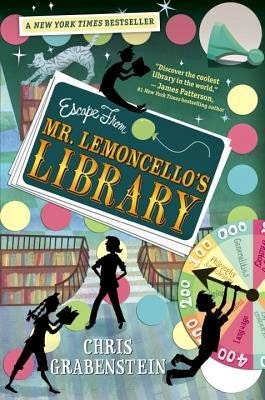 I fell in love with Chris Grabenstein's work after reading Escape from Mr. Lemoncello's Library last summer, and his newest work does not disappoint. There's plenty of adventure and excitement, but it's all based on books and reading. 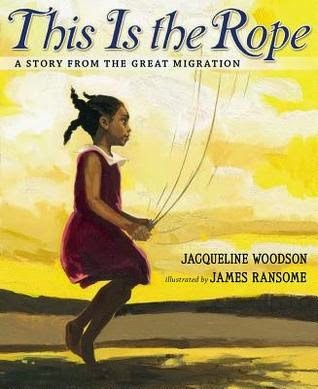 This book would make an excellent classroom or library read-aloud and would be easy to recommend to kids who enjoy adventure stories as well as budding bibliophiles. Hall, Shyima. Hidden Girl: The True Story of a Modern-Day Child Slave. Simon and Schuster BFYR, 2014. 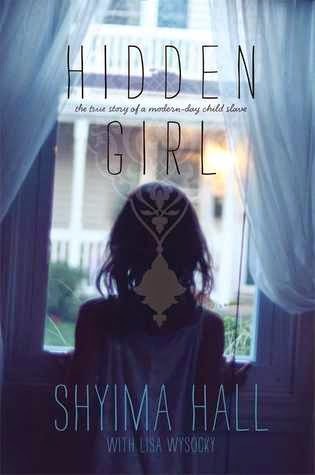 Shyima Hall was born in Egypt, a middle child in a very large, very poor family. Her parents sold her into slavery to repay her sister's debt. She worked for a rich family for several years, even moving with them to the United States when they sold their house in Egypt. She only has time to eat one meal a day, never goes to school, and sleeps about four hours a night. Eventually someone calls Child Protective Services, which leads to Shyima's rescue and the incarceration of her captors. 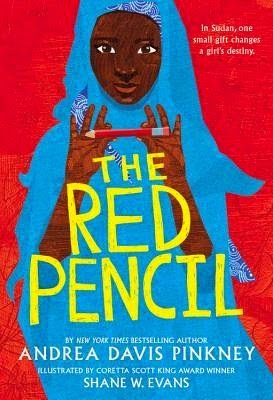 I wanted to give this book a full five stars because this is a topic that is too-rarely addressed, but Shyima's retelling of the five years she spent as a child slave and her recovery afterward was just too clinical and detached. The writing was very dry, and I found myself skimming much of the last third of the book, just so I could be done. 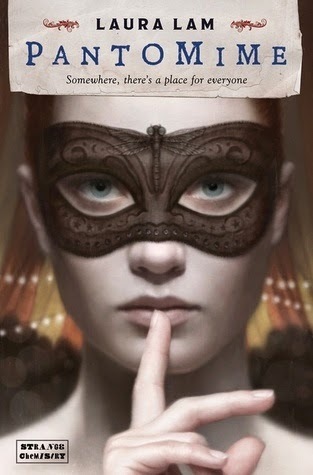 This book certainly fills a niche in juvenile/young adult literature, but it would be great if it were more readable. Dunkle, Elena. Elena Vanishing. Chronicle Books, 2015. 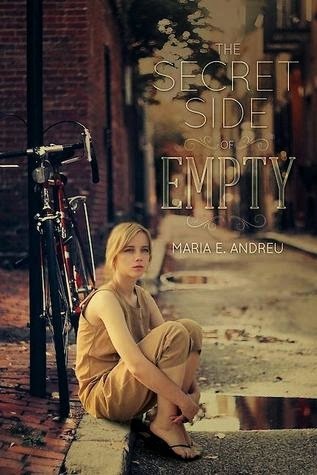 Elena is a teen who is suffering from anorexia, although she wouldn't tell you she is suffering. She is battling the number on the scale and attaining perfection through control of her food. This is Elena's story, told in Elena's voice as she recalls her ongoing struggle against an eating disorder. 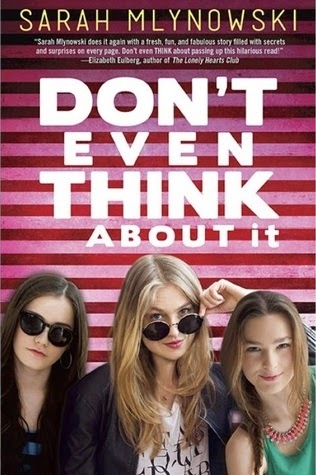 This isn't an easy book to read, but it's a timely one, and the fact that the author is also a teen/new adult will make this book appeal to a teen audience. 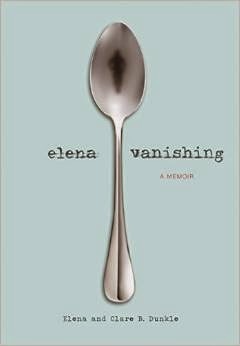 Elena's mother has also written a book about the same time period, Hope and Other Luxuries: A Mother's Life with a Daughter's Anorexia. It would be interesting to read both books back to back and see the same story from two different perspectives. The holiday season is upon us, and has been since early September when I started seeing strings of Christmas lights and holiday wreaths being sold at our local big-box store. I like my holidays kept separate, but even a Scrooge like me must admit that we are now into full-blown retail-enhanced holiday madness. My library has not escaped this onslaught. Our Christmas picture books, which for most of the year are carefully hoarded on a special shelf accessible only to librarians, have been put on display. There are at least twelve tinsel trees scattered throughout the stacks. The endcaps are full of books about gift-giving, crafting, and cooking. Someone even created a "book tree" topped with an origami star made out of weeded book pages and surrounded by twinkle lights. But what about the other traditions? 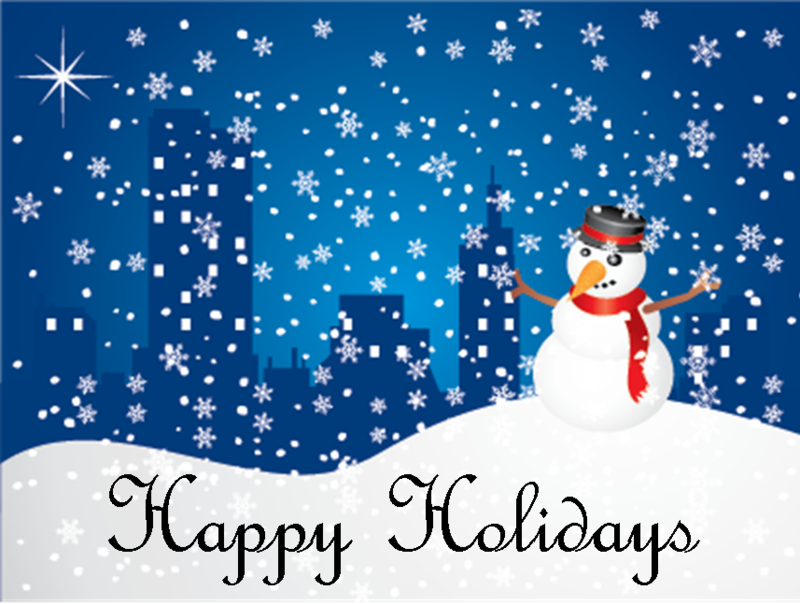 We are instructed to say "Happy Holidays" to patrons and fellow staff, which is great since it allows me to wish everyone a wonderful season of giving and anticipation of the new year without having to guess which religious tradition they may choose to follow. And I do live and work in a large cosmopolitan metropolitan area. I am surrounded by nearly as much diversity as I saw when I lived and worked on the island of Guam. 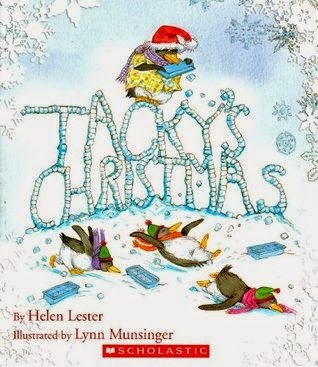 But my library seems to be drowning in Christmas, and even our holiday books are mostly, if not completely, Christmas-themed and not celebrating Hanukkah or Bodhi Day or Kwanzaa or even Christmas as celebrated by those in the Eastern Orthodox religion. There are so many beautiful cultures and celebrations we are missing, and that makes me sad. My younger sister's birthday was Wednesday, and when we were kids, there was a rule in our house that the Christmas decorations did not go up until my sister had been able to celebrate her birthday. My mom wanted to make sure that my sister's day was a special one and didn't want it to be swallowed up by Christmas. And now I'm trying to figure out how to do the same in my library, to acknowledge the different traditions and cultures of my various patrons without letting their special days be swallowed up by the behemoth that Christmas has become. For those of you in public libraries, how do you do this? Do you put up no holiday decor, or only secular decor, or do you find a way to celebrate all winter holidays? Christopher, Lucy. 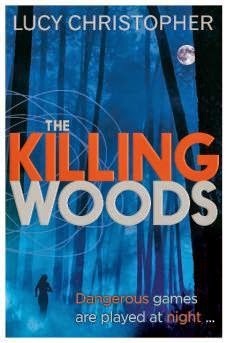 The Killing Woods. Chicken House Ltd, 2013. Emily's dad has been accused of murdering Ashlee, a popular teen girl whom Emily's dad carried out of the woods near her house one night. Emily's dad doesn't remember killing Ashlee, but he suffers from PTSD and assumes he killed her during a flashback while in the woods. Emily is determined to clear his name, but to do so she has to investigate what might actually have happened to Ashlee. 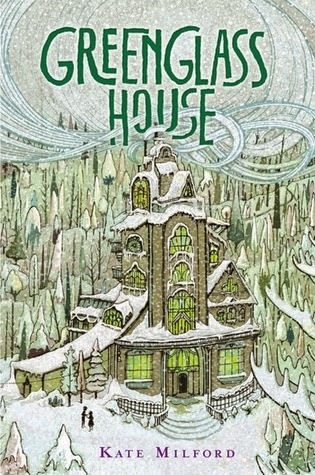 This book definitely sounds like it would be suspenseful and creepy, the perfect book to read around Halloween. Unfortunately, while the story does have a mystery element, the suspense aspect fell flat, as did the thrilling, must-turn-the-next-page aura that I expect from a book designated as a thriller. I also didn't feel like I got to know Emily or her father at all, even though both have starring roles in this story. 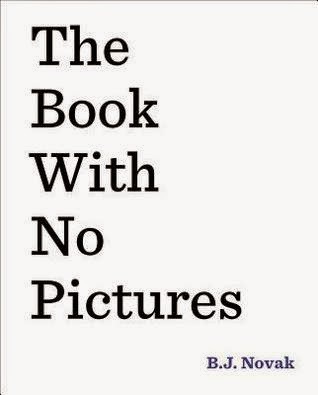 I had high expectations for this book, but I was definitely disappointed. For teens who like thrillers or compelling reads, I'd recommend books by Nick Lake instead. Acamopra, Paul. I Kill the Mockingbird. Roaring Brook Press, 2014. Lucy, Elena, and Michael are all rising freshmen in a small town where their 8th grade English teacher will also be their freshman English teacher. 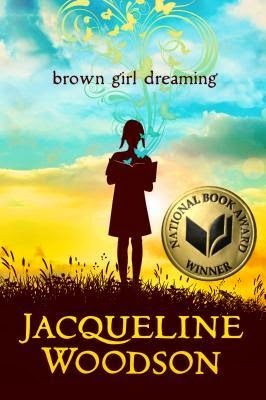 She assigns a book list for summer reading, and Lucy is determined to get more of her classmates to read and love her favorite off of that list: Harper Lee's To Kill a Mockingbird. 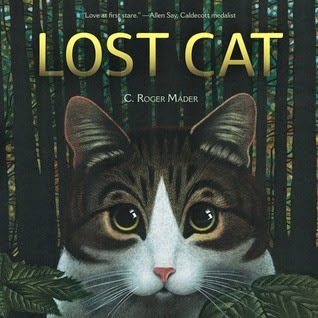 The trio create a scarcity of Lee's classic by relocating the book within bookstores and libraries in their area and utilizing social media to spread the word about the missing tomes. Their site quickly goes viral and then they must decide how to stop it before it gets out of hand. I have mixed feelings about this book. The booknerd/bibliophile in me loves the literary references and the scene where the trio are digging through the weeded books discarded in the library's recycling bin. I love that the kids use social media to popularize their project and that it spirals farther than they could ever have imagined. 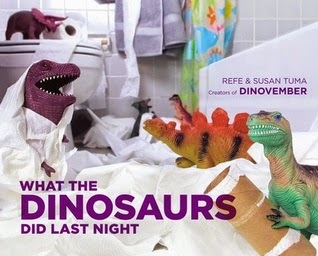 I think the writing style is perfectly appropriate for children. However, I don't imagine many teens, even young teens, acting the way the trio acted; they seemed overly childish in the book. The simple solution would be to make them rising 7th graders instead of 9th graders, which would make their words/actions fit better with their age, but then the booklist for class would become problematic (more so than it already is - who assigns both Dickens and Lois Lowry?). 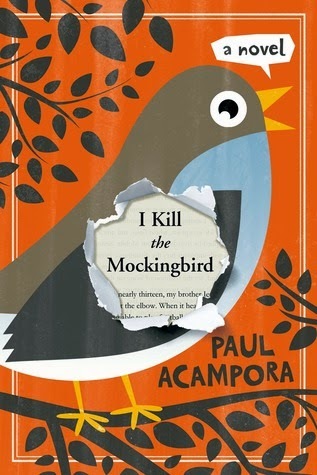 The idea behind this book is clever and it was enjoyable to read, but I doubt many kids who would enjoy this book would be ready to enjoy Harper Lee's classic or many of the other books mentioned in the story. Sloan, Holly. Just Call My Name. Little, Brown BFYR, 2014. 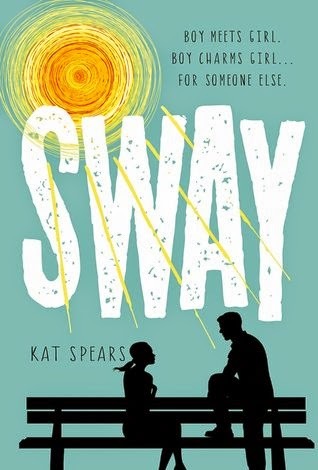 The second installment in Sloan's I'll Be There series, this book picks up with Sam living more or less independently and starting college while Riddle lives with Emily's family as they pursue his adoption. Riddle is slowly catching up on the education he never had. Meanwhile, Sam and Riddle's father is planning to break out of prison, find his sons, and punish them for running away. Various story threads combine near the end of the book for an intense denouement. 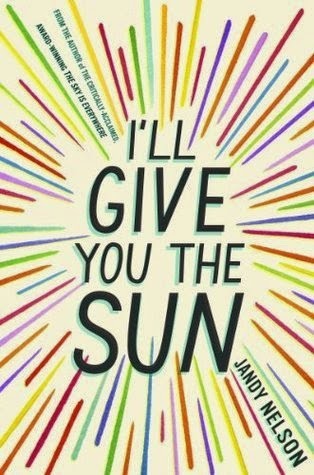 I wanted to like this book more than I did. The story line itself sounds very intense and thriller-esque, but the writing didn't do much to compel me to continue reading. When I have read other books about convicts who escape and threaten to do awful things to other people, usually I can't stop turning the pages because even though I hope things will turn out well, I'm never quite sure. With this one, however, it was almost as if the characters themselves were not invested in the story, either. Add that to the multiple narrators who all had very similar voices and this story just didn't do it for me. I wanted to be in the characters' heads more, to feel their fear or pain or excitement or whatever, but they just fell flat for me. People who read Sloan's first book may also enjoy this one, but I am going to find it difficult to sell this to all but the strongest readers. Niven, Jennifer. 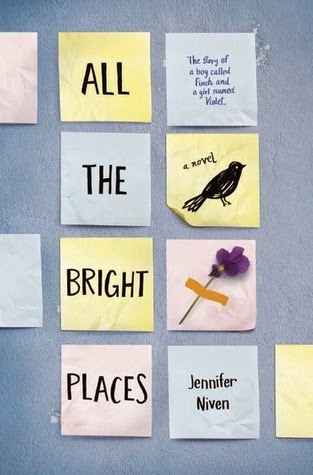 All the Bright Places. Knopf, 2015. 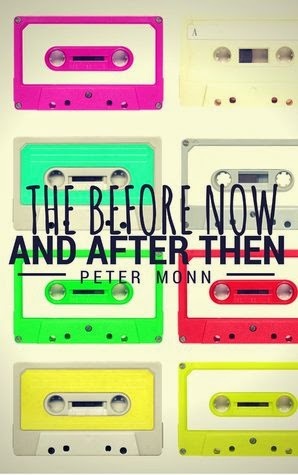 This book has been heralded as a mash-up between The Fault in Our Stars and Eleanor and Park. At first I wasn't sure this book would live up to the hype and was afraid I'd be disappointed, but I wasn't. Violet's grief over the death of her sister is very real, and it has colored her world for the past year. Theodore is battling bipolar disorder, which apparently has run in his family and which he refuses to acknowledge or relieve through medication. 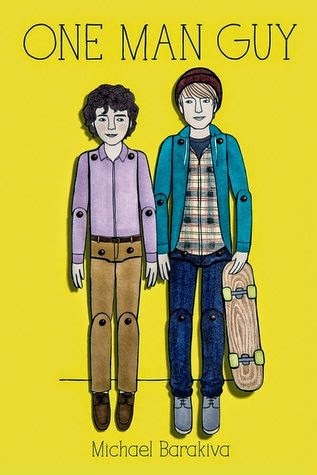 This book has death, life, love, mental illness - all the things a teen adores in fiction. Recommended.